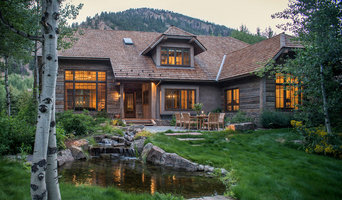 For more than three decades, Blue Ribbon Builders has crafted the most exceptional custom homes in Big Sky. Relying upon a talented, detail-oriented staff, honest communication, technical expertise and unparalleled craftsmanship. Biggerstaff Construction is still thriving as one of the longest running construction companies in the area. Over the years, they have made a commitment to building quality structures and listening carefully to client’s needs and expectations. They have also made a commitment to building quality, lasting relationships within the Big Sky, Bozeman and building communities. To this day, Biggerstaff has strong connections with some of the best sub-contractors, architects and suppliers around which, in turn, benefits their clients. If you’re looking for a new home in Montana, you've come to the right place. R.Lake Construction is a full-service general contracting company located in beautiful Ennis, Montana. We specialize in projects that make the heart feel at home, whether they be simple remodels, guest accommodations, residential visions, or your dream home. From Ennis to Bozeman to Big Sky and all across Montana, R.Lake is here to help make your dreams a reality. We are a small team of professionals who share a passion for building. We believe that truly superior homes are built on a solid foundation of accountability, honesty, and communication. It is our goal to bring those values to our clients. 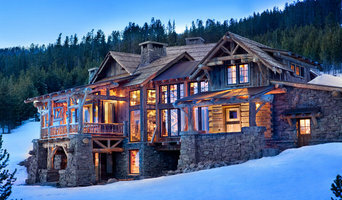 From custom homes in the valley to commercial buildings to ski-in ski-out units on the mountaintop, our projects reflect the dedication, passion, and experience of our team. Sage Kitchens specializes in custom cabinetry, hardware, countertops, and closet design for both new and remodeled homes. We work with you to develop functional and aesthetically-pleasing designs that capture your unique needs and personality, and that fit within your investment expectations. You can choose from an almost-unlimited range of styles and finishes, as well as numerous appealing hardware options. From kitchens and bathrooms to libraries, bars, and mudrooms, we design the solutions that will set your home apart from the rest. Turning hopes and dreams into reality carries a host of burdens. Who better to turn to than builders with consummate skills, unlimited capability, tremendous organizational skills, and the ability to exceed your expectations?! Let your aspirations start and finish here, with Wade & Associates Builders, Inc., the premier residential construction company in the Big Sky area! At Wade & Associates, we are committed to providing our clients with the highest level of custom homebuilding. 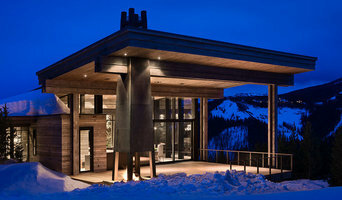 No other construction company in the Big Sky area is as committed to ensuring a smooth and accurate building process. Please contact Wade & Associates Builders and allow us the opportunity to show you what a truly custom home builder should be doing for you in every aspect of building your Big Sky dream home! Diverse and heartfelt, Design Associates work represents many years of collaboration with our family of clients, whom we cherish. We hope you will appreciate their individuality as you view the work we have produced for them in these homes. Our interior designers work has been featured throughout Montana, including The Yellowstone Club, Moonlight Resort, Big Sky, Wyoming, Washington, South Dakota, and many other states in the U.S. After working in the field of interior design for a combined period of over 40 years, Lynette Zambon and Carol Merica have the skill, knowledge and ability to create an interior that is right for each individual client. They are known to transform a room with harmony, beauty and a touch of drama. In every project you will experience a fine tuned layering of furnishings, textiles, lighting, art and antiques. By incorporating an intuitive understanding of design and composition, along with their client’s dreams and wishes, the result is a home that is warm and inviting in every way imaginable. Lynette is a native Montanan, who studied interior design at Montana State University and received her national accreditation with NCIDQ in 2000. Lynette’s designs are beautifully rendered with a mélange of antiques, fine textiles, and simple detailed lines of upholstery. Lavishly appointed, her interiors are attractive and livable. Carol Merica, also a Montana local and graduate of Montana State University, received her national accreditation with NCIDQ in 1998. Carols signature design element is to classically create rooms which are infused with warm color palettes of richness and texture. She accents with contrast and fine embellishment for the finishing touch. Design Associates inherent sensibility and respect for the architect’s visions is always emphasized in every detail. The pair has worked on many projects throughout the West, and nation wide. Wherever the location, their overall approach has always been to create a feeling of relaxed comfort and timelessness. Their work has been published in Western Art & Architecture, Big Sky Journal Home, as well as Cowboys and Indians and a variety of other publications. But before you start sending out dozens of emails and making phone calls, sit down and think about your project. What's your budget? What is the scope of your project? Will you need more than one type of professional to complete your home improvement project in Big Sky, MT? Can you afford to complete the full project now, or should you tackle it bit by bit? Once you've settled on your project’s priorities, budget and scope, it's time to start researching Big Sky, MT home design professionals. Don't sell yourself short and settle on the first professional you set your sights on. Make sure that you're working with someone local, who can get to the jobsite easily and efficiently. Look into the person’s reviews, ask to speak with former clients and to see previous jobs in person. Take a good look at their portfolio photos: How similar are these projects to your own? Be honest — that mansion might look beautiful, but it might not have a lot in common with your little bungalow. Reach out to multiple professionals — especially for larger projects — and don't settle for the first bid you hear. Comparing multiple Big Sky, MT professionals' bids and experiences can help you find the one that’s best for you. Ask a lot of questions now, so you won't have unexpected answers later. Find a home design professional on Houzz. Narrow down your search by type of professional and location. Browse Big Sky, MT portfolio photos, read client reviews and contact each Big Sky, MT professional for more information. Check out the information in the specialized professional sections too for tips on how to hire the right professional for your project.